All happily married couples will tell you that wedding rings are one of their most prized possessions as it symbolizes their steadfast love for their partners and serves as a constant reminder of their marital responsibilities. This is also equally true of the engagement ring that was the first gift your partner gave you before the wedding day. This leads us to the question of how to maintain the engagement rings and the wedding rings and keep them looking lustrous and sparkling for a lifetime. Diamond rings need extra care and if not cleaned at regular intervals, as they will accumulate dust and dirt and even a thick layer of grime will form on the ring. As we all know the charm of a diamond ring is its sparkle and fire and wearing a dull insipid diamond ring without its natural shine will not impress anyone. Soak your diamond ring in lukewarm water mixed with some mild liquid detergent, like Ivory dishwashing liquid. Gently rub with a brush with very soft bristles (an old toothbrush will do) to remove dirt. If you use a hard brush or rub the diamond harshly, you may damage the diamond ring. Swish the ring for a couple of minutes in the solution, and then rinse the diamond ring using warm water. Allow the diamond ring to dry or you can use a lint-free cloth for quick drying. 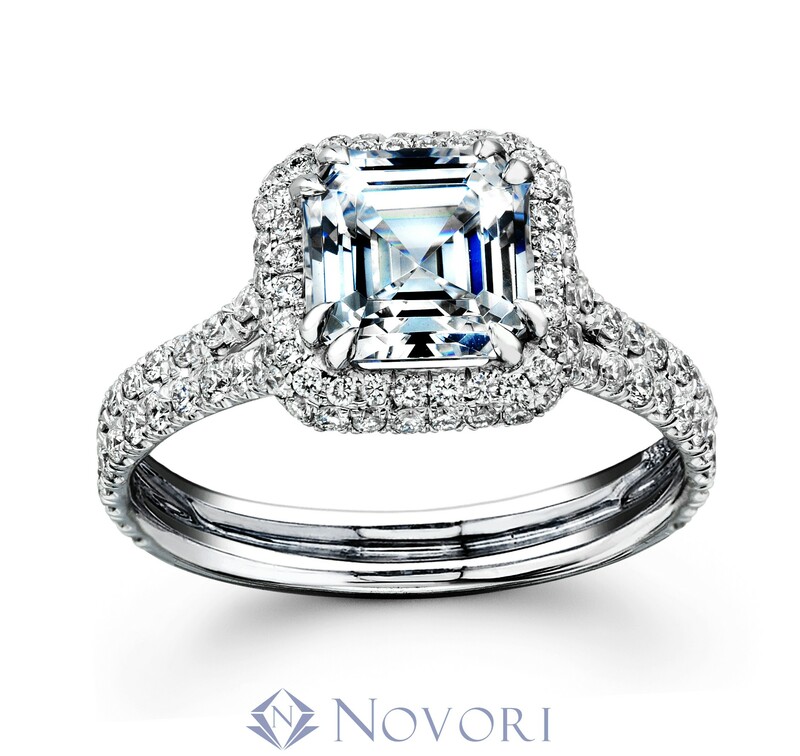 If the diamond is far too dirty, let the ring soak longer and repeat the cleaning process. It is common knowledge that diamonds are one of the hardest substances we know, but that does not mean that they don't need cleaning. Coatings and other materials used to make your wedding rings can sometimes be removed by using strong chemicals or by harsh scrubbing. Part of the joy of wearing a ring is the shine and sparkle that comes from your wedding ring. If your engagement ring or wedding ring has other precious gems, it is preferable to use a cleaning method that is better suited for cleaning the less precious stones. But remember harsh chemicals can seriously damage your valuable jewelry. If you need to handle harsh chemicals for any purpose, make it a point to remove your wedding rings or cover your hands with gloves to prevent chemicals coming into contact with your rings. Another use tip for diamond ring care is you should remove your ring every time you are required to do physical work or jobs that may dirty your hand like gardening. Certain things you may need to clean your diamond rings are contact lens dishes, used toothbrushes, hand gloves, mild detergent and glass cleaners.